The James Bond stylish adventures of a young chubby boy who swears by skateboarding and a young English girl a little too comfortable with spying! The son of the Belhomme family is not happy to receive an English correspondent at home during the holidays. He would rather continue to train on his skateboard with his friends but his parents decided otherwise. Going to get the famous correspondent, named Mary, at the airport, her cozy life changes completely: her parents disappear mysteriously, and they cannot find them. Back home, they realize that they have boarded a plane bound for Brazil but now this plane is a victim of a crash. However, thanks to Mary, they quickly realize that all this is just trickery and leave for Brazil too, to find the trace of parents. And the adventure begins then because, instead of a simple disappearance, it will be a real plot of conspiracy and mafia organization they will face. And this is the beginning of a series of more epic twists than the others .... They are pursued, Mary reveals to him his secrets and his belonging to a clandestine network, they are forced to cross Rio, the jungle, to visit glaucous places, zany and disused factories, before having to leave for the United States ... you will have your head spinning! A real James Bond Junior in perspective !!! 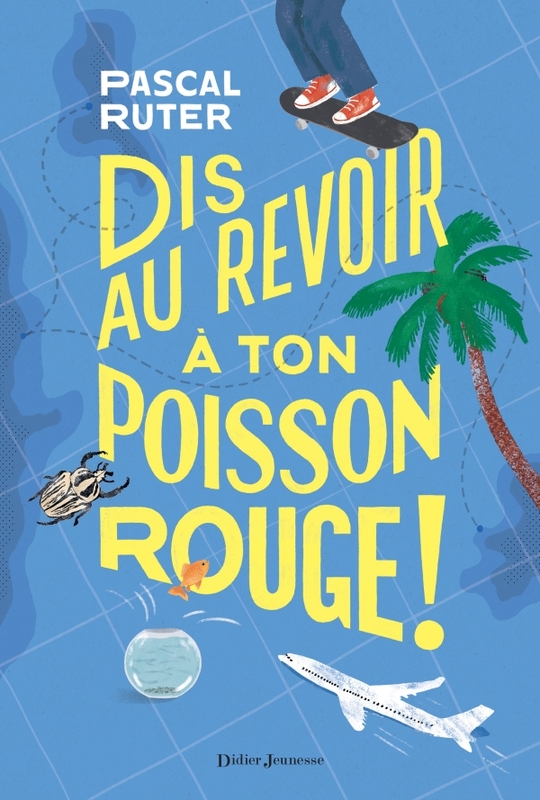 Dis au revoir à ton poisson rouge est un livre génial. Tellement entraînant que – malgré le titre – on oublie totalement de s’inquiéter pour le fameux poisson rouge.